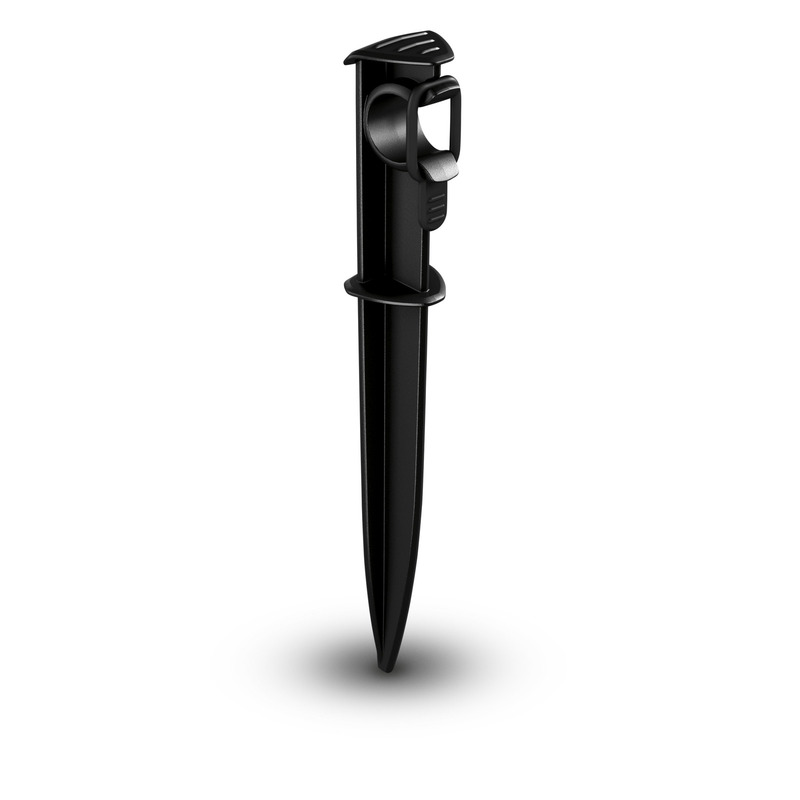 Hose Spike 26452370 https://www.kaercher.com/my/home-garden/watering-systems/kaercher-rain-system-tm/hose-spike-26452370.html The ground spike is used for laying and fixing the Kärcher Rain System® hoses and the soaker hoses. The integrated rubber ring on the attachment point ensures an optimal grip. 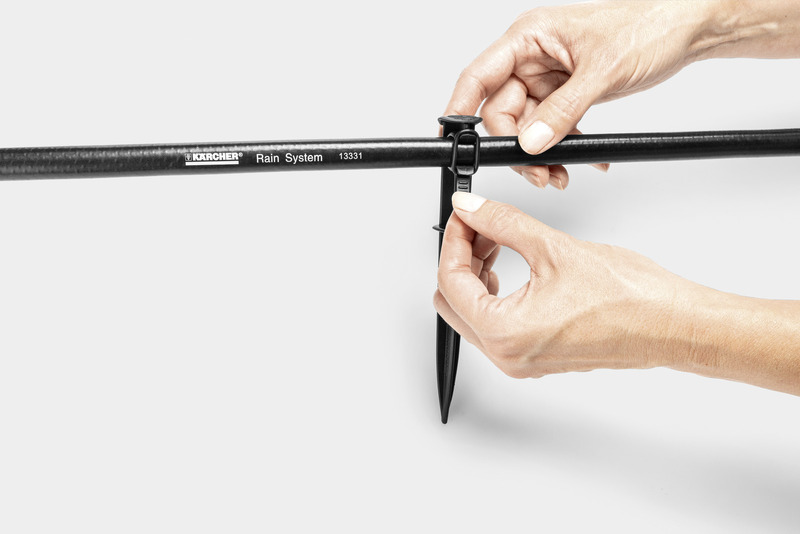 The ground spike is used for laying and fixing the Kärcher Rain System® hoses and the soaker hoses. The integrated rubber ring on the attachment point ensures an optimal grip. The ground spike is part of the Kärcher Rain System®. It reliably fixes the Kärcher Rain System® hose and the soaker hose at the desired point and creates the necessary distance to the ground. The 17 cm long ground spike has a marking tool for conveniently defining the optimal insertion depth. The rubber ring on the attachment point ensures secure fixing of the hoses. The Kärcher Rain System® combines the advantages of micro-dripping and conventional watering. 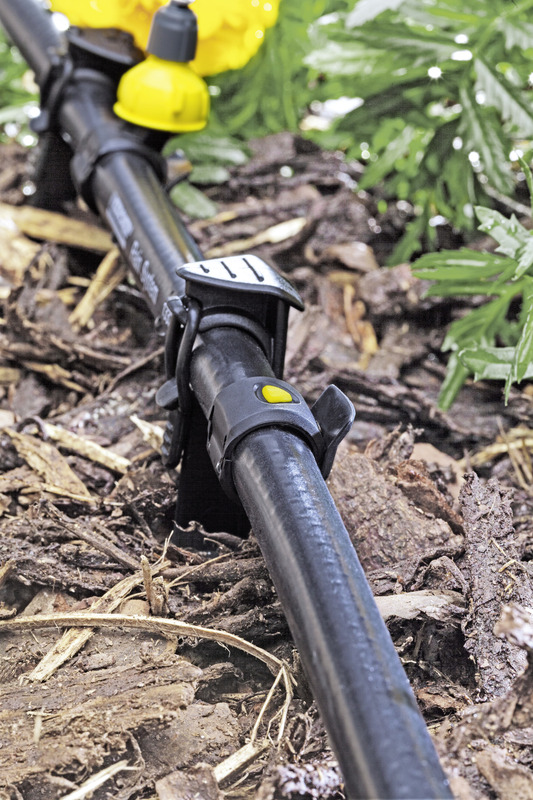 The highly efficient Kärcher Rain System® watering system works with up to 4 bar pressure and features a 1/2" hose with drip and spray collars. The Kärcher Rain System® can be individually adapted to almost any garden and works perfectly with the SensoTimer for need-based watering control. Easy to insert into the soil. Kärcher Rain System® hose and soaker hose can be optimally fixed. Determine the optimal insertion depth.